At the beginning of April, two serve days were on the calendar. Two. Perhaps we thought we would not have sufficient help for the month ahead… God had other plans. 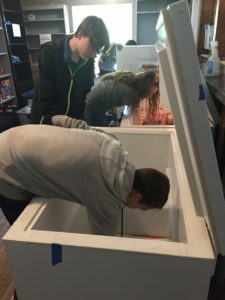 As each day of April unfolded, so did the surprise calls of news that more churches and schools wanted to get involved with various Grace Klein Community serve projects. With all that God continues to bring our way, a serve day is never turned down. Help is always appreciated, and so desperately needed. Two serve days turned into six! (Kinda reminds me of the 5 loaves and 2 fish story!) God is in the business of multiplying… no area left unmet. 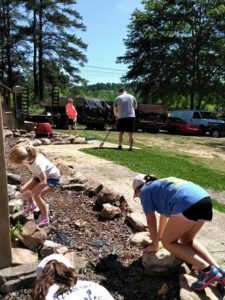 On Friday, April 13th, we had the honor of serving with The Westminster School at Oak Mountain. 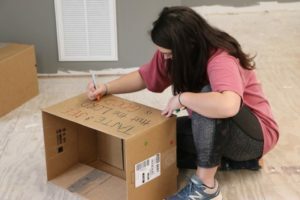 The students prepared 15+ meals for families in emergency situations, served with our dear community friend, Sheila Barnes-Parks in Ensley, bundled diapers and wipes for families, assisted with general office clean up, helped prepare for an upcoming event and wrote thank you notes to our awesome donors! 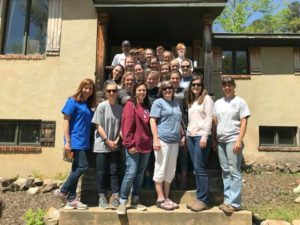 Students from Mountain Chapel United Methodist and the ZTA sorority from Samford University’s annual Givesback came to serve on Saturday, April 14th! Praise the Lord for holding back the rain. 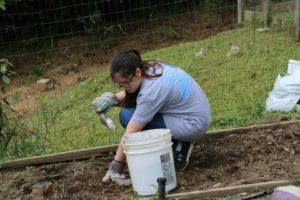 For real, the weather forecaster promised buckets of rain and the rain did not come until AFTER our serve day ended. 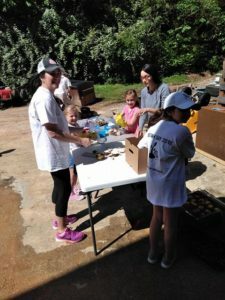 The teams weeded the community garden, helped us prepare for an upcoming event, taped boxes and gathered non-perishable food items in preparation for Food Delivery and wrote encouraging notes to recipients. 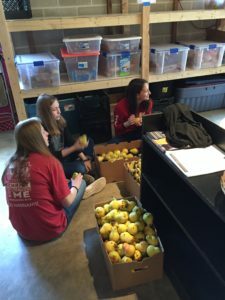 On April 25th, 9th Grade students from Heritage Christian Academy visited Grace Klein Community. 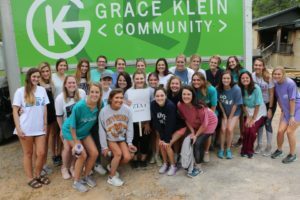 The students came to learn of the various ways Grace Klein Community impacts the surrounding community through the provision of food, clothing and household items, as well as emotional and spiritual support. 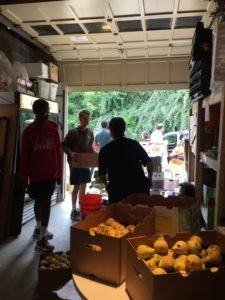 The 9th graders were happy to assist with needs around the office including sorting and organizing clothing donations, writing thank you notes to donors, cleaning the freezers, sweeping the floors, breaking down boxes for recycling etc. On April 26th, the 7th and 8th grade students followed in their footsteps. 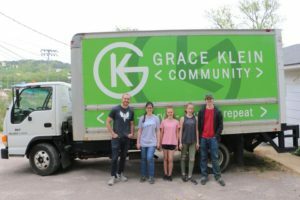 As Grace Klein Community staff and volunteers, we are truly privileged to be in the position of teaching many, through our lifestyles and the work set before us from the Lord, how to love, serve, share and repeat. In honor of Mitzvah Day, 15 members from Temple Emanu-El came to serve with Grace Klein Community on April 29th. No matter the task, each team member came with a heart ready to serve. Preparing for our Sunday Trade Market was a breeze with the extra hands the Lord provided. 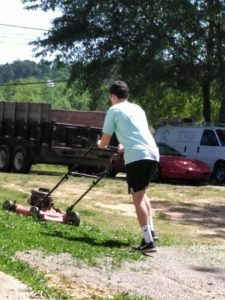 And, our yard was finally mowed after many days of rain.